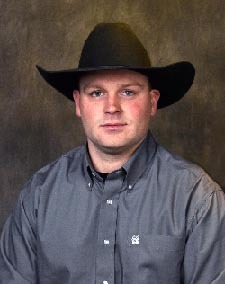 NORFOLK, NE - The future Northeast Community College rodeo team has found its head coach. Fenton Nelsen was named the first-ever rodeo coach for the Hawks, it was announced by Kurt Kohler, dean of student life and athletics on Thursday. Nelsen brings a vast knowledge of coaching experience to Northeast, previously serving as the assistant rodeo coach at Missouri Valley College in Marshall, MO, and as a rodeo clinician for young contestants in timed events. Nelsen earned his bachelor’s degree in agribusiness from Missouri Valley, while a member of the rodeo team. He was a four-time collegiate national finals qualifier in two different events and a two-time top-10 collegiate national finals qualifier in steer wrestling. Aside from coaching, Nelsen is a Professional Rodeo Cowboys Association athlete, participating in calf roping and steer wrestling. He was the 2017 PRCA Great Lakes Circuit Rookie of the Year and All-Around Cowboy. Nelsen also qualified for two events in 2017 and 2018 in the PRCA Great Lakes Circuit, while being named a 2017 PRCA Ram Circuit Finals qualifier and a 2017 average winner in the PRCA Great Lakes Circuit Finals in steer wrestling. Hailing from Iowa Falls, IA, Nelsen was a four-time national qualifier in the National High School Finals and was the reserve National High School Rodeo Champion in steer wrestling. In Iowa, he was a three-time Iowa High School Rodeo State Champion and was named All-Around Cowboy, while earning the honors of AQHA Horse of the Year on the national level and AQHA Horse of the Year in the state of Iowa from 2011-2013. At Northeast, Nelsen will be responsible for recruiting, mentoring and training male and female student-athletes, with a focus on academic and student-athlete success. The Hawks will compete in the Great Plains Region of the National Intercollegiate Rodeo Association. Throughout the year in the region, there are six sanctioned rodeos held in the fall and four in the spring.